Golfers have witnessed plenty of innovative changes in equipment over the past 20 years. 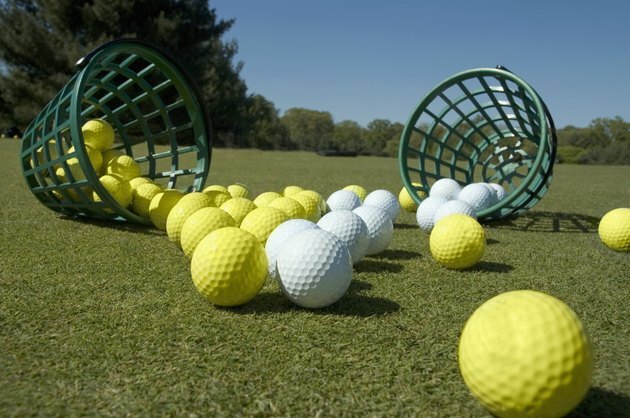 Golf balls, for example, are much more durable while maintaining the spin and distance properties that golfers covet. Today there is very little difference between hard and soft golf balls. Unlike the past, a ball's flight characteristics depend much more on the properties in each layer, rather than the relative hardness of the cover. Throughout the second half of the 20th century, there were two types of golf balls. Balata golf balls were made with a soft cover designed to promote spin, especially on short iron and pitch shots. Hard-cover balls were designed almost solely for distance and provided very little spin on shots around the green. The overwhelming favorites were balata golf balls, which remained popular with tour professionals and low-handicappers until around 2000 because of their spin and control properties around the green. Around the turn of the 21st century, golf ball manufacturers began experimenting with materials to combine the spin properties of balata balls with the distance characteristics of hard-cover balls. Researchers found that adding layers to the ball combined the properties of hard-cover and soft-cover balls, depending on the velocity of the golfer's swing. With the growth in technological innovation within the golf ball industry, hard-cover golf balls are relatively nonexistent today. Instead, the difference between cheap and expensive golf balls results from the cost of materials in the core and the mantle, the area between the core and cover. More expensive balls are multilayered, offering a different feel for different types of shots. For example, a four-layer ball feels hard when hitting it off the driver yet soft when hit around the green due to the differences in clubhead velocity. Finding the right golf ball for your game should depend on your goals and how much money you are willing to spend. Rob Akins, a PGA professional and “Golf Digest” contributor, suggests finding out how the ball reacts around the green to find the ball that will work best for you. He also states that the ball that stops quickest on the green is the one you should get, even if that means sacrificing some distance.